The Mind + Exciting News + You’re Invited: Do it With Me! Our mind is a garden. We either take time to water it, or it wilts due to worry, distress and stress. We either remove the weeds or they crowd-out fruit. God cares greatly about our gardens. Why? Becuase what we think on, we act on. What we dwell on, drives us. What untruths we believe, shape our instincts, emotions, and impulses. As we pluck what’s not of Christ, He seems to grow in us. 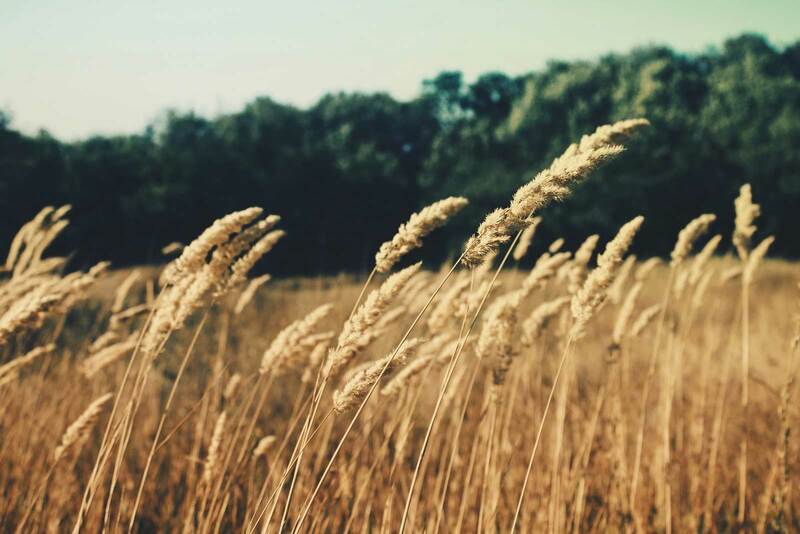 Without weeds, Christ rules our thoughts. Is Christ’s truth, promises, and love ruling your thoughts? Or are you stressed out and stunted by problems, pessimism, and pain? What if, you began to think differently, like Christ? What if you could face your problems proactively, verses reactively? How would your whole world change? 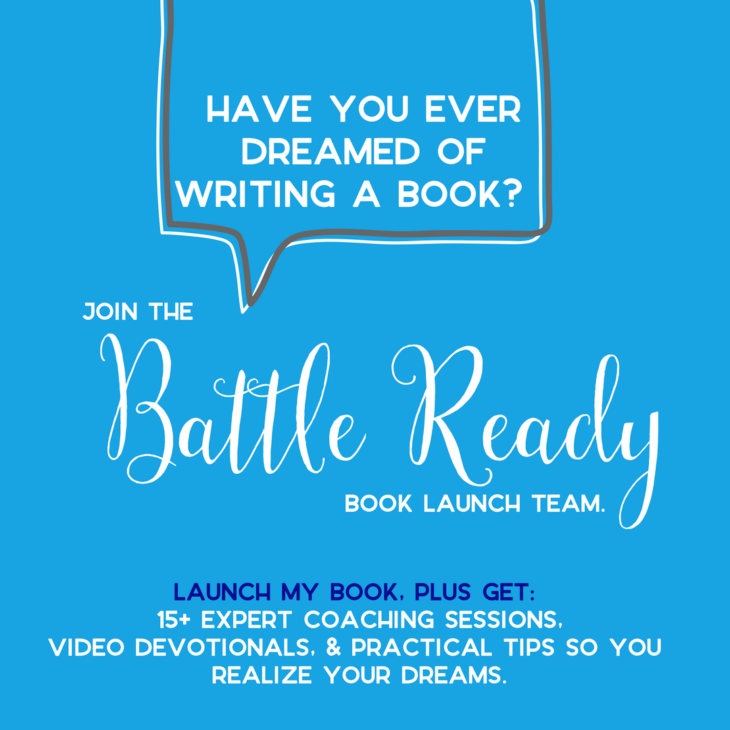 I wrote the book Battle Ready: Train your Mind to Conquer Challenges, Defeat Doubt and Live Victoriously after suffering through an eating disorder, depression, health issues, relationship problems, financial struggles and so much more. This book is not only a hands-on manual, where you can explore-your-story, but it is also a battle plan for your mind. With how-tos, practical and biblical wisdom, verses and truths it will help you stand strong. It will surely change your thoughts, change your habits and then change your life. Want the inside scoop on the book? Printables? 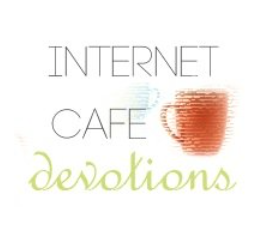 Video devotionals? 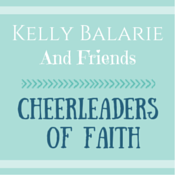 Live prayer with Kelly? My arsenal of Battle-scripture? Group-support? Weekly accountability? A physical thought-changing gift? A Mini-Prayer Journal? ****SPECIAL INVITATION: Join me on my launch team and you’ll get all the above and far more. Spreading the word about it on social media. Writing an Amazon review (which is so helpful). Just pre-order a book today, then join the group here. Don’t delay. 200 also get a free book sent to them. Join the launch team. 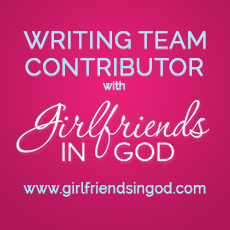 Are you a seasoned- or veteran blogger, women’s minister, leader or speaker? I’m offering an unprecedented launch opportunity. I am taking the Platform Mastermind Course – the one I’ll be releasing in the Fall for $500+ dollars – and I am literally giving it to my launch members for free. FREE. Boils down all the marketing mumbo-jumbo into clear and concise how-tos so you can steward and grow your audience. Reduces hours of learning, flight-times to conferences, time away from your family, and money spent trying to figure out what to do or not do. Gets industry experts to share what is working right now on social media, in speaking and online so that you don’t have to endlessly search to figure everything out. Presents the information in easy-to-consume and take-action videos that are short, and chock-full of wisdom. Plus, you can watch it all from the comfort of your home. What are some of the 15+ courses experts in each field will share? 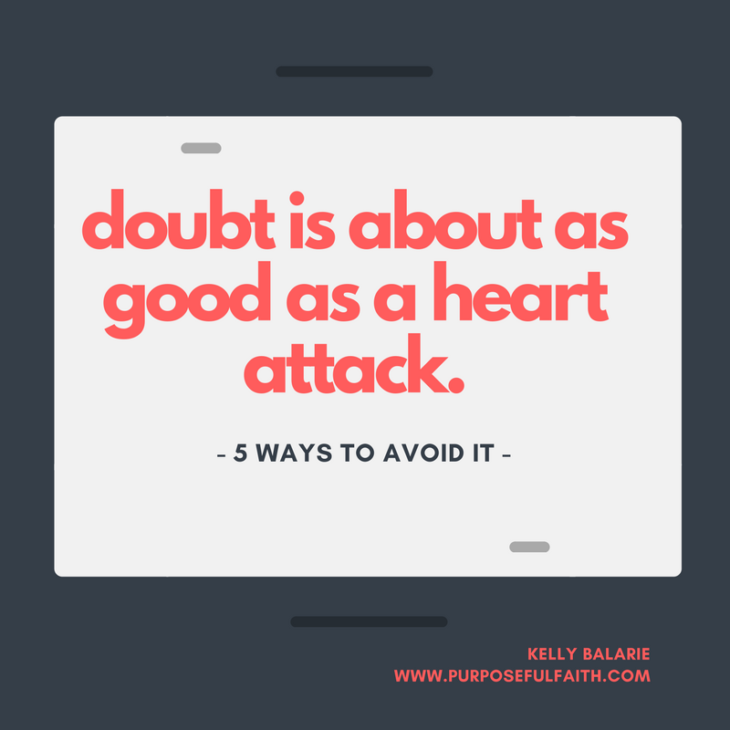 – The 5 Biggest Speaking No-Nos (and 5 Things You must do)! 1. Pre-order a book on Amazon to help me. 2. Join the launch team here. 3. Fill out the form (do it now, limited space available). I expect this launch team to be not only mind-changing but also life-changing and platform ground-breaking. When it is “You vs. The Enemy”…you must be prepared. Because in this world it truly is eat or be eaten. Eat God’s Word or be eaten. Fight or be killed. Fight back with truth or be killed. I know this firsthand. The times when I try to do everything on my checklist so I feel accomplished, or work really hard to look better than others, or hear a million reasons why I am no good. . .here, I have one of two choices. 2. Square up to the one who desires to make me doubt, fear, worry, stress, overdo it, give up, get defensive or hide. Choice 1 leads me to: eating a whole bunch of the enemy’s stomach-churning bull. Choice 2 leads me to: finding the truth that has just set me free. Choice 1 ends with: doubt, discouragement and despair. Choice 2 ends with: faith, hope and love. Always use truth when you face a liar. He can’t stand up against it. So that is what we will do today. We will use truth so choice two becomes your only end and option. Nothing can come against me in Christ Jesus. The Spirit in me always trumps what is coming against me. 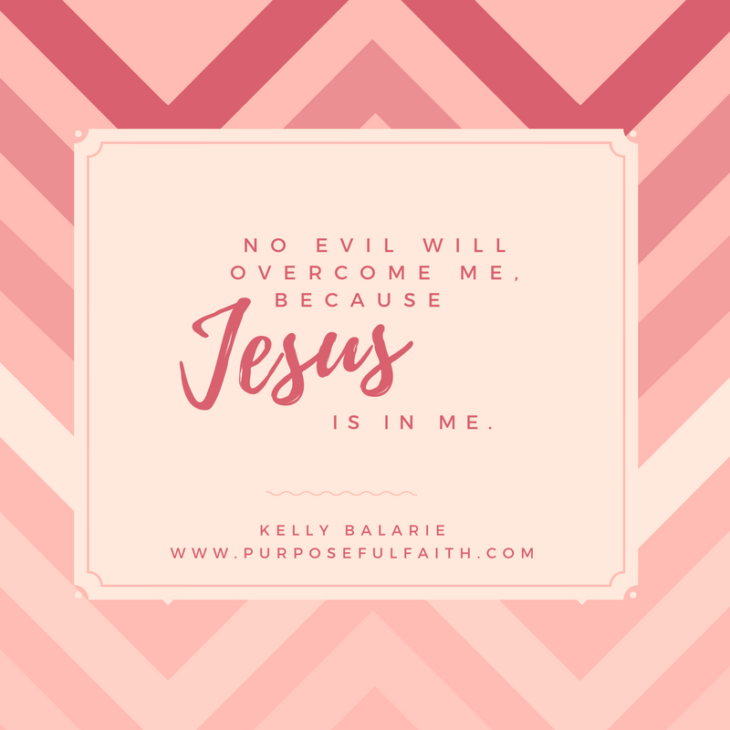 No evil will overcome me, because Jesus is in me. How can the enemy own what he can’t find? I’ve been given divine power to demolish the strongholds set up against me. God will faithfully protect me against the evil one. Whatever evil comes against me will be annihilated by God. God will not lose me; I am not outside His love. I am horrible at fessing up. Maybe you are too. We don’t want to bring attention to it. We would rather pretend it didn’t happen. We hate to admit we aren’t perfect. It’s number 5 that really gets me; I try so hard to be perfect, so to break the porcelain veneer is like dropping grandma’s ancient heirloom. I feel crushed. I feel caught. I feel like someone might want to yell in my face. Yet, when my son started pointing fingers at everyone else but himself. When he couldn’t admit doing things wrong. . . well, all fingers pointed back at me. I can’t blame on him, what he learns from me. He’s really just a reflection of the environment that I create for him. I declared it was high-time I start to change something – about me. And, sooner rather than later. It is far easier to say you want to change than it ever is to actually do it. I still tried. I noticed when I got that little prick of anxiety in my heart and admitted why: I pushed a little too hard on my husband to get my way. I paid attention to the small sense of guilt I previously ignored and acknowledged my wrong: I brought up a sensitive topic at the worst time. I looked at my child’s face when I chided with too much force and reacted: I am sorry. Nope. And, I wasn’t perfect. Sometimes, my pride inhibited my humility. 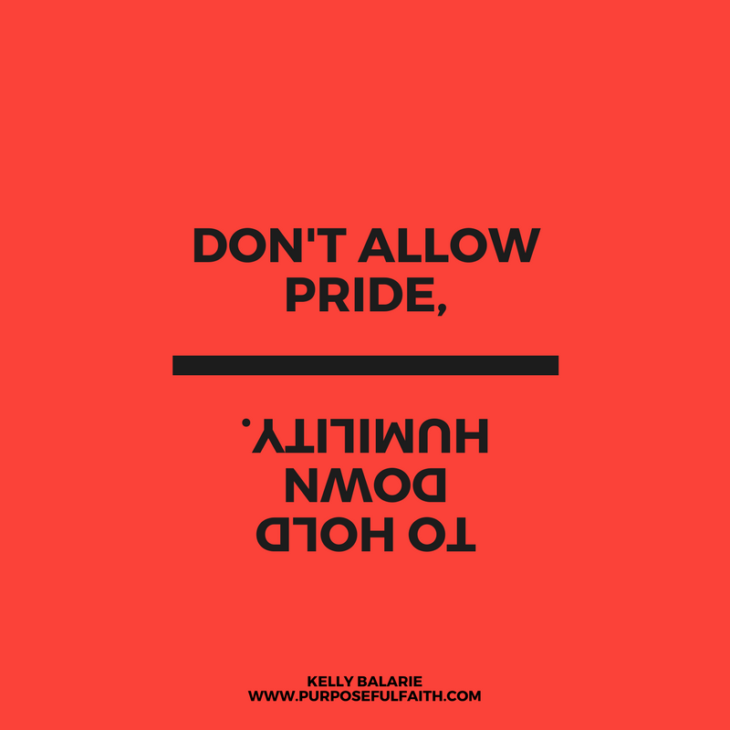 Pride made me take an hour, where humility would have shown up right away. But, I am learning: it is a learning process. Sometimes, the act of being honest with yourself is the first act. You have to cheer yourself on for this. I am doing this. YAY! Maybe you need to join me? Have you built up defenses so high even you can’t see over them to the truth? Have you found that you don’t ever want to be wrong. I used to think an apology meant I needed to go dwell in a dumpster or something. Now I see an apology is a welcome by God to a higher place with him. It is my letting go so that I can welcome his glory and peace in. When I do this, I find my way back to his heart more easily. I go low. God brings me high. There’s a picture buried deep in a box somewhere, stashed away in my mom’s closet. Staring back at you, from a worn out Polaroid picture, is a family who seems put together. The little girl squints her eyes to lessen the glare of the sun. She’s wearing a striped dress and her hair is carefully combed into two, long ponytails. The picture is filled with pinprick holes from someone moving it around the church bulletin board more than a few times. It was one of the few occasions that I would actually wear a dress. I was a jeans and t-shirt type of girl. But, on the rare mornings when we actually made our way to church I thought I had to wear a dress or I wouldn’t be allowed in. I don’t remember a single thing about being there except that I felt we had to act a certain way and dress a certain way to fit in. I knew very little about what church meant or why we even went in the first place. I thought Jesus was only for certain people. I thought Jesus was for people who had their lives together and never messed up. I thought Jesus was just for the people who spoke with eloquence and dressed like they had just walked out of a designer store. I wasn’t sure what sin really was or whose was worse, but I knew I didn’t want my dirty sins exposed. I didn’t want to go to church and let everyone see what a disaster I was. I didn’t want to face rejection. The same feelings carried over into adulthood and I continued to fear Jesus for all the same reasons. I thought Jesus was only for the good people. 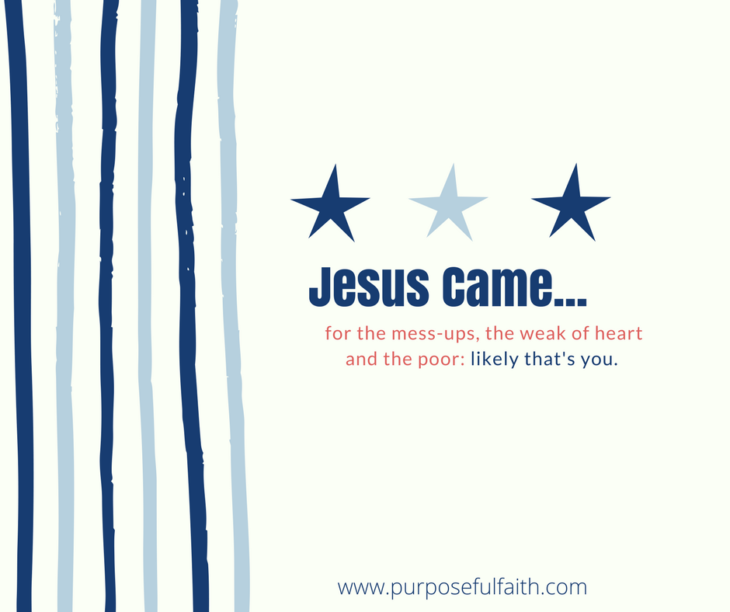 I thought Jesus was for those without sin and those who navigated through life effortlessly. I thought he only shined on those types of people who were more like him and less like me. I hid from church people. I had walked through so much in life that the dirt on my feet was heavy and weighed me down. I dragged my feet everywhere I went and did everything I could to hide the evidence from other’s eyes. I promised myself I would wash them one day and present myself to Jesus when I was good and clean. Maybe then he would open his arms to me. Maybe if I could just be good enough, clean enough, rich enough, married, educated, the list was endless. Maybe if I could just wash the dirt off of my feet so he wouldn’t know where I’ve been. When I was well into adulthood, married and a mother of 4, I started to attend the church near me because my cousin had signed my oldest daughter up for their choir program. I went out of support for my daughter and not my desire to be in church. I sat quietly in the very back of the sanctuary, under the dimmed lights, and tried my best not to be noticed. The congregation might not have seen me but God did. And he washed my feet for me. I spent most of my life thinking I had to be perfect for Jesus to love me. No one ever told me that I could come to him just the way I was. No one ever told me that Jesus already knows about the dirt on my feet. I thought I had to transform into someone better for Jesus to be in my life. I didn’t know that I could come to him the way I was and that he would transform my life for me. He would be the one to wash the dirt off of my feet for me, gently and with mass amounts of grace and mercy. You don’t have to wash your feet to be loved by Jesus. You are accepted and loved exactly the way you are right now. No sin is too big, no failure too deep and no past is too dark. Jesus is for the broken and the lost. Jesus is for the underdog, the guy struggling to find a way. He’s for the broken hearts and bruised bones. He’s for the sinner and the thief, the liar and the cheater. He is for us, me and you. He loves us in our mess and through our mess. All we have to do is show up. You don’t have to wash your feet. Come as you are and Jesus will wash your feet for you. Candice Curry, the author of the book The Con Man’s Daughter, spent years working in sales doing what she felt she had to instead of what she wanted to. 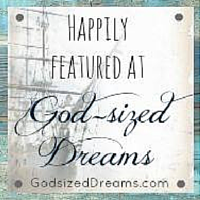 Then she put her faith in God and gave it all up to share her story through writing. 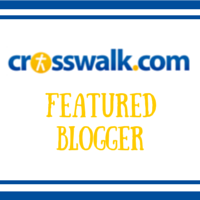 The daughter of a con man and convicted criminal, Candice started a blog as a form of therapy, which has grown into a worldwide ministry and landed her on TODAY and Good Morning America. A speaker and a contributor to The Huffington Post, Today.com, and several other sites, Candice has a passion to give hope to those suffering the pain of rejection, the burden of unforgiveness, and the emptiness of great loss. Candice and her husband, Brandon, have five children and recently welcomed her teenage sister into their home. They live in San Antonio, Texas, in the former home of her childhood best friend. Connect with Candice at http://candicecurry.com/. 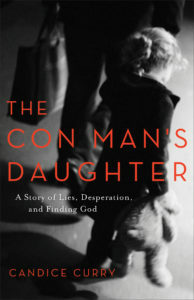 Learn more about The Con Man’s Daughter. But, that was precisely the problem. I couldn’t be still. My heart was racing a hundred miles an hour like a race car ready to crash. Ever been there? Where the face of your problems > loving face of your God? Where it is hard to know if God can/will fix what you’re doing, done or are about to do? I gave them the blank stare. I didn’t know what this entailed, but I did know by nature of the name it sounded – horrific. Anything with the word “disease” in it is about enough to send mom’s stomach flip-flopping and reeling in anxiety. Add visions of pussing, oozing and painful sores – and mom was already identifying imaginary red spots. Thanks, lady. Thanks a lot. Oh, and thanks a lot, God. Don’t you know? Now, I’d just come off the stomach flu that built into a cold that seemed to never end that morphed into a bad illness with a mean attack from the inside-out. I won’t go into details here. Needless to say, I’d been run ragged. Now this? Now, I was sure, dear daughter was deeply ill. I could see it happening, and none of my prayers could stop this unforeseen visitor from coming. God wouldn’t help me. I was all alone on this one. Where do you feel all alone? Where have you opened the gate to worry and found not only it walked in, but doubt too? This may sound simplistic, but: Shut the gate. Doubt disassembles the goodness of God. It wrecks the benefits of love. It becomes cancerous over time. It corrodes dependence on God. It is the devil’s gambit. “But, how, Kelly, how?” You ask me. Acknowledge the lies and God’s corresponding truth. Admire the power, height, and love of God. 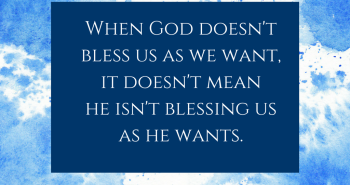 Affirm God’s goodness through thanksgiving and prayer. Filter the bad out of the good, and you’re left with good. And, if we’re left with good, we’re left with God. We want this. God, you are in everything. You are above everything. You know everything. You are orchestrating everything. All control is yours. All vision is yours. All power is yours. You move the handle on my life. Thank you that you want to take care of me. Thank you that you love me. You withhold no good thing from me. Thank you that I can trust you. Not with half my heart, but with my whole heart. Thank you that you know my way, even when it looks not like “my way.” Grant me greater faith to trust you by faith. Stand closer to me so I can dwell in your love. Help keep my mind steadfast on things that are true, noble, right, pure, lovely, admirable, excellent and praiseworthy. If I move with you, I won’t depart from you. Teach me God in all your ways. I am open and willing to what you want to do in me. I need you, God. Amen. Fighting the Enemy: To Win! My son has been learning about the devil in school. He’s also been learning about the archangel Michael. So, in the adorableness of all his toddler years, he’s been playing an action hero game, of sorts, where he’s got a split personality. One minute, his face contorts into the completion of all meaness (cute alert!!!) and the next, the softness and heroic nature of angel Michael returns (Yay!! Peace & calm for mommy!). I’m the target of his wrath when he’s all devil-faced and vengeful, because, here, he attempts to spit in my face (and sometimes wins). He tumbles me to the ground. He declares I’ll be ruined, I’m bad and a goner! He pulls with all his might trying to get me into the lake of fire. He yells at me. I’m in for it. It’s the match of all matches. And, I still can’t figure out why angel-face hardly ever shows up? I’m left fending against his wild and unpredictable attacks, his yells and pushes. I try to do my best but it gets tiring and sometimes I feel like giving up. I have to be on guard for his quick moves. I have to anticipate what is happening next: a diversion, a distraction, a mean word, a pull, a push or a tug. Undoubtedly, it’s a wrestling match. If I don’t fight, I lose. If I don’t stand up for myself, I’ll fall into that lake. If I don’t press in, He’ll pin me down. If I don’t speak back against his lies that I am bad, I’ll give in to them. If I don’t speak the truth, I’ll feel injured, debased and abused. If I don’t push back a bit, I’ll be punished by the ridicule of his words. Fighting against the devil is a wrestling match; if you don’t push back, you be mentally pushed where you don’t want to go. You’ll believe things, God doesn’t want you to believe. You’ll go places, God never intended you go. The fight is real! R.E.A.L. Really happening. We get really serious about wrestling to win. Not in a way where we are afraid to lose, because, Great is our power over the enemy, thanks to Jesus Christ. But, in a way where we know the lies, the pulls, the beginnings of a match when we see one. Then, we engage to win. And, guess what, we do. He can’t touch us. Sin. It’s a tricky thin, isn’t it? Those of us in Christ don’t want to participate in it, but somehow we easily fall prey to it. We all know there is no hierarchy when it comes to sin. Lust is just as wrong as adultery. Anger is just as wrong as murder. It all quenches the Holy Spirit and it all breaks the Father’s heart. 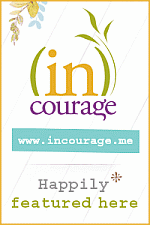 Recently, I had 3 consecutive weekends of attending 3 ridiculously dynamic women’s conferences. I was literally on the highest of highs. It was amazing! I am very much still processing all that God spoke to me and all that He did during those 3 weeks. He marked me beyond words. After all of that spiritual activity, the enemy hit me hard. I don’t normally attribute much to him, but this was nothing but him. He was waging war for my soul in the worst way. He attacked my mind with no holds barred. I don’t tend to deal with outward sins as much as I do with inward ones. You know the ones I’m talking about…envy, comparison, anger, bitterness, apathy, etc… The list really could go on and on. If you’re anything like me, those inward sins can bring more shame and guilt than the outward ones. It’s quite easy to hide these sins from the world. Honestly, the shame and guilt came very close to knocking me out for the count. I felt as though I was spiraling out of control. The past few weeks of battle came out of nowhere. I had been beautifully walking out my calling. God had been opening many doors of connection and I had experienced some of the sweetest times of prayer and worship. 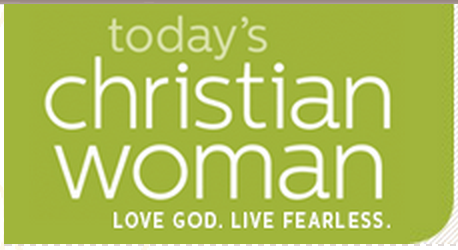 One of the events I attended was Beth Moore’s conference called LIT. It was geared to women in their 20s and 30s. Christy Nockels led Heaven touching worship. 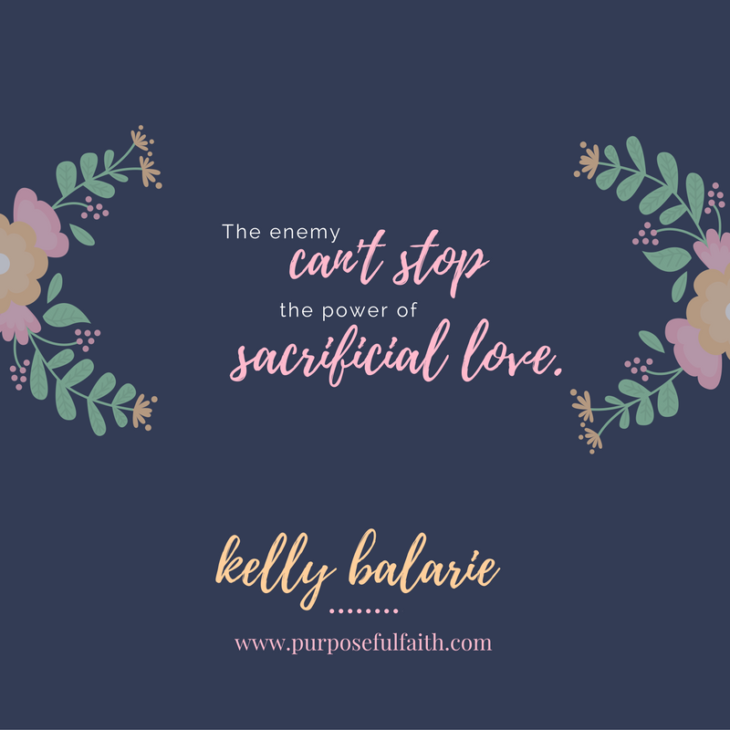 And Beth, along with Jennie Allen, Priscilla Shirer, Christine Caine and Melissa Moore all shared about this call to communicate. Everyone spoke to the fact that it is a weighty call and there is a cost to it. In order to fulfill this call, we need to first be filled. This filling ONLY comes from time spent in the secret place of God and us. This time with God is not reserved for those who may minister from a public platform. It is for EVERY believer because we all minister and share Christ in some way. We all have a measure of influence. I’ve been contemplating how such a door was opened in my life for the enemy to slip in could have occurred. I know I’m a flawed human, but I never want that to be an excuse for me to be comfortable living in sin. Realize the enemy will attack who God has created you to be. A week ago, I heard a sermon about how the enemy will specifically come for us in direct opposition to who we are. I hadn’t ever thought of that before. If we are a person of faith, He will bring doubt. If we are pure in heart, he will bring corrupt thoughts. If we have the gift of healing, he will bring illness. He sees our potential. He wants to destroy that potential by whatever means necessary. He wants to destroy the impact that God wants to accomplish through us. The key to fighting this is to pray against him breaking any strongholds he is using to keep us bound. And then, we replace those thoughts with Scriptures that call out our identity and God’s desire for us. Don’t let the enemy bring dissension. I am all about community, but over the past few months, the enemy has been working overtime to create division among several friends and me. He has authored confusion and offense and all manner of hurt feelings. In those times, we are to pursue unity despite our emotions. Our emotions say isolate. The enemy wants us to isolate. But the Lord’s heart is for us to be in fellowship. We must have brave, hard communication. We speak truth in love and always share our hearts in grace. Camp out in the secret place. Everything flows out of the secret place. Everything we do. Everything we say. All that we are flows from this place. Anything done in our own strength will falter and fail. The Holy Spirit must be our strength. He is the only source of power in our lives. Much of that power is harnessed when we allow Him to renew our minds in His promises. This power can only be accessed when we have spent time alone with Him in prayer, worship and studying His Word. This time is non-negotiable. If we forgo it, we forgo everything. We forfeit the word He wants to speak to our hearts. We forfeit all of the good works He prepared for us. We forfeit the ministry that would touch the lives of others so that they may come to know Him. 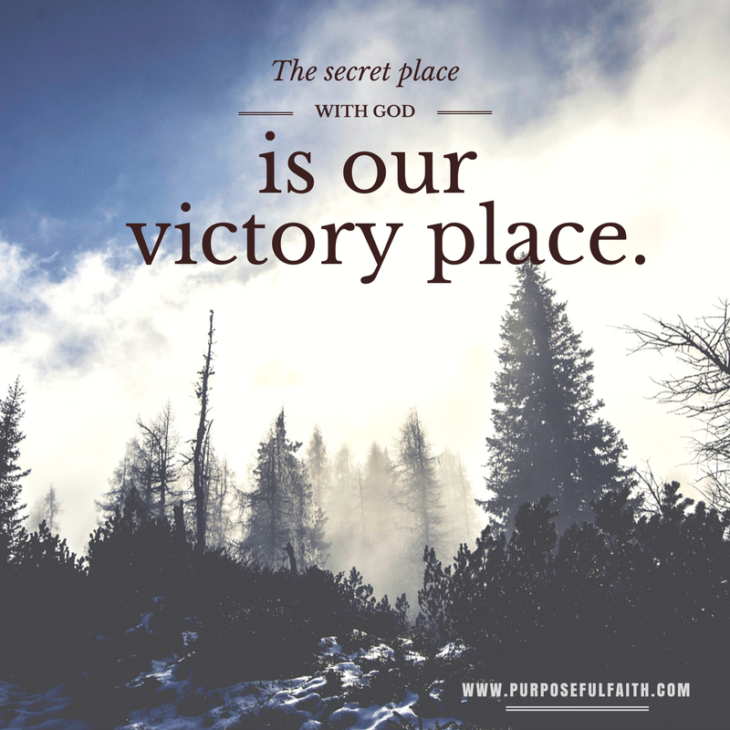 This time in the secret place is how we overcome and walk in victory. I want to live in such a way where I am aware of the enemy’s schemes and where He doesn’t have such easy access to me. I don’t ever want him to think he can easily deter me from my calling and purpose. We all have Bonnie Tilley to thank for this post. She said she wanted to hear the story. Here goes: Sometimes you get doing something so big with God, the one who is anti-God doesn’t like it so much. We normally don’t even realize this is the case. Why? Loving someone isn’t big enough for Satan to oppose. Praying for someone can’t really be that valuable. Deciding to finally be repentant and obedient doesn’t add up to too much. But, oh no, friends, this kind of dedicated obedience to God is just what is opposed. It is just what the enemy wants to squelch before it takes off and down the track. He wants to see it go up in flames, because when you move where God is – and he doesn’t want you to meet each other. He’s against that. So, I was opposed. I know it’s so. 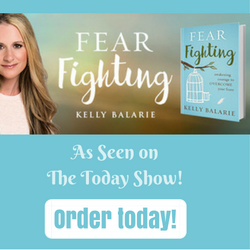 I have this book coming out, Fear Fighting. Savior God used it to save me. Writing it, with him, released my soul from the war-torn barracks of fear. This book somehow became a peace pilgrimage with God; it saved my heart and medevacked me out of the heart throbbing places of tension, turmoil and tumultuous living. It’s no joke. This is why I know you – not getting my daily emails for 2 days – was a mission of the enemy. This is why I know the other problems bubbling up in the last two days are also his approach. This is why I know, today, the foggy head and throbbing headache was more than a random occurrence. This is why I know my site going down was intentional. This is why I know I must be making some spiritual progress. There is always more than meets the eye. Let this fact meet your eye, right now. Behind the scenes of your problems, is often – the problem-maker. You can’t see him. But, he’s working. What is trying to get you to move away from God and into a self-focused, self-preservation attitude? Consider it for a moment. You see, I was standing firm on Jesus. I was sure. Sure, doubly sure, the Lord, My God, was going to free hearts through this book. Sure, he would get all the glory. Sure, beyond a shadow of a doubt, He had great plans for me. Satan hates people “sure” about Jesus. If you get “sure” about Jesus, Satan will surely send something to throw you off. Out of left field. If you’ve learned a new way to stand firm on Jesus, He’ll aim to hit you from a new direction, you’d never expect. What are we to do? 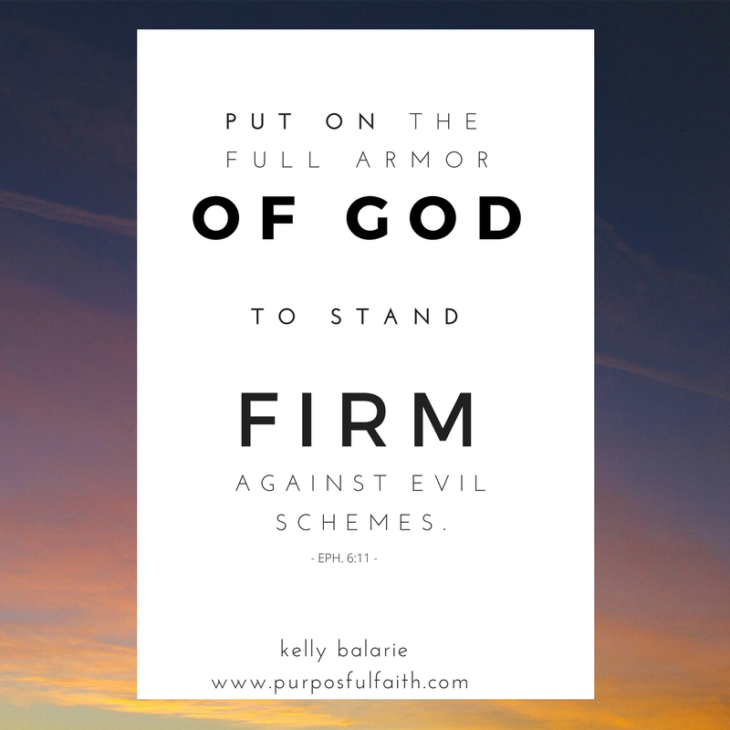 SOLUTION: We’re to expect the unexpected and then get protected with the armor of God. 2. Through the words of a person. I can’t tell you how many times a friend has spoken an unfriendly word that has lived on in the echo-chamber of my mind. It resounds as the ultimate form of discouragement. SOLUTION: The only way to combat it is to take God’s truth and to wield it with reckless abandon. 3. Through our own fleshly desires. So, here I am today, very much still well. I am as well as I always was. I am as joyful as I always was. Because, when you realize who is for you – it doesn’t so much matter what is coming against you. Prayer: Dear Lord, thank you that you are greater, higher and mightier than anything that comes against me. I will rest in you, I will trust in you and I will follow you. Keep me keenly aware of what is coming against me, so that when it does I can find my strength in you, once again. Amen. I walked. I not only walked, but I felt like I was in that place, that very special place, you only get to once in a while. It is that place where you mind stops thinking about the million and one things it has to do, and it starts thinking of Jesus. That is where I was. Each step was a movement with God and each prayer was one I knew he heard. I turned the corner and walked next a fence. Still, I honed in on Jesus – his power, his life and his resurrection and what that meant in my life. Peace sat heavy- until, a bulldog scared the living daylights out of me. He was right next to me, moving along the fence, jumping and trying to attack. I jumped in fear. But, then I remembered, that dog can have a loud bark, but he can’t really touch me. A fence is between us. I am safe. As fast as I was fearful, I returned to being faithful. The enemy jumps on us the same way. He’s ready to bite our heads off. 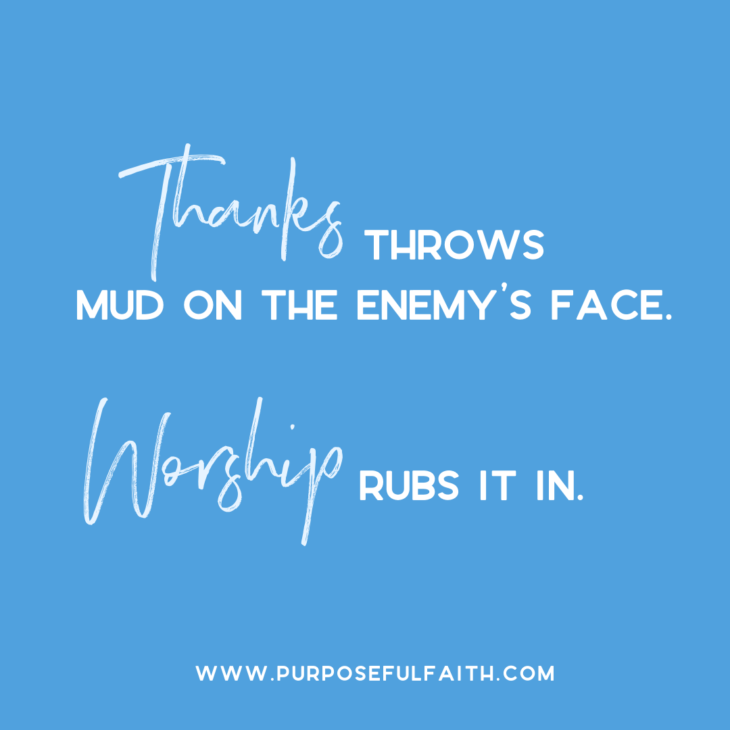 But, what I’ve realized is – the enemy’s bark is worse than his bite when we trust God at his words. He can only bite us if we hop over the fence and enter into his territory. If we get caught up in the sound of his voice. Only then are we destructible and torn apart. But, if we walk in God’s territory, in places of trust, hope and love, he can’t touch us. Try to scare us he may, but he can’t touch us. We are protected. We are safe. God puts a shield before us. He puts his armor around us. He places the mind of Christ within us. When we walk in the Spirit, the enemy can only destroy the flesh. What is spiritual can’t be touched by him, unless we allow it. It releases us. We don’t have to walk around in fear, afraid of the next catastrophe ready to befall us or the next dog ready to bite our head off. No. We move in faith. My daughter is afraid of dogs. I lift her high and hold her tight. Nothing can harm her when she is in my arms. I’ve been working on this. What I’ve found is – if I can walk with God’s eyes to see, I’ll walk in a way where the enemy lets me be. Each step I take to thwart him, discourages him. Each move I make in faith, is like a fake – where I move left and he moves right and we don’t hit each other. I think it is working. What if today, rather than living ready to run from attacks, we lived ready to run into the full and unwarranted favor of God? What would it look like if we grabbed his Word and let it work, as if we really believed it? 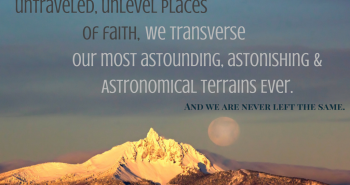 How discouraged might we make the very opposition in life, rising up against us? God, may we keep our eyes on you. May we keep our gaze steadfast. May we know that nothing can touch us with your armor around us. In you, we are safe. In you, we are full. In you, we are brought to life. 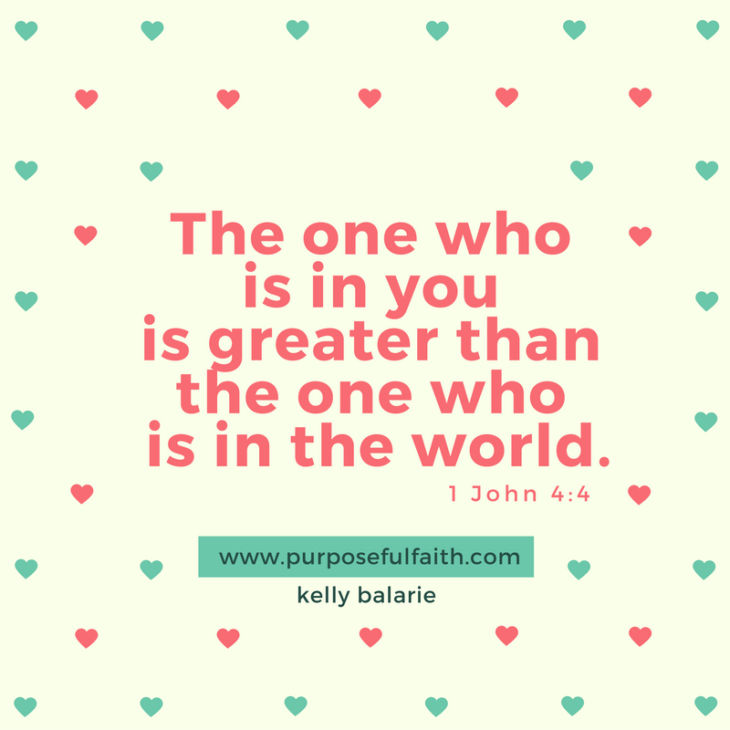 Thank you that you are within us and He who is within us is greater than He who is in the world. In Jesus’ name, Amen.